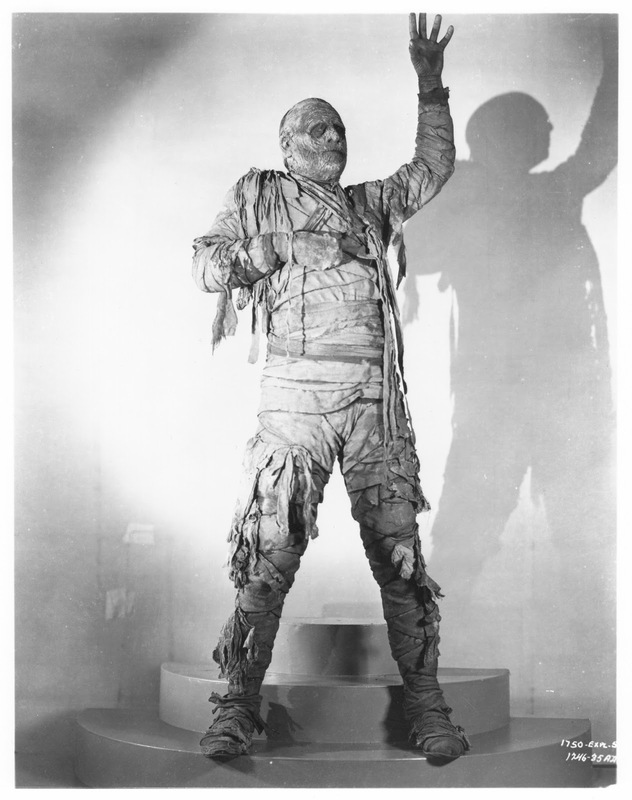 Raise Your Hand If You Like the Mummy! 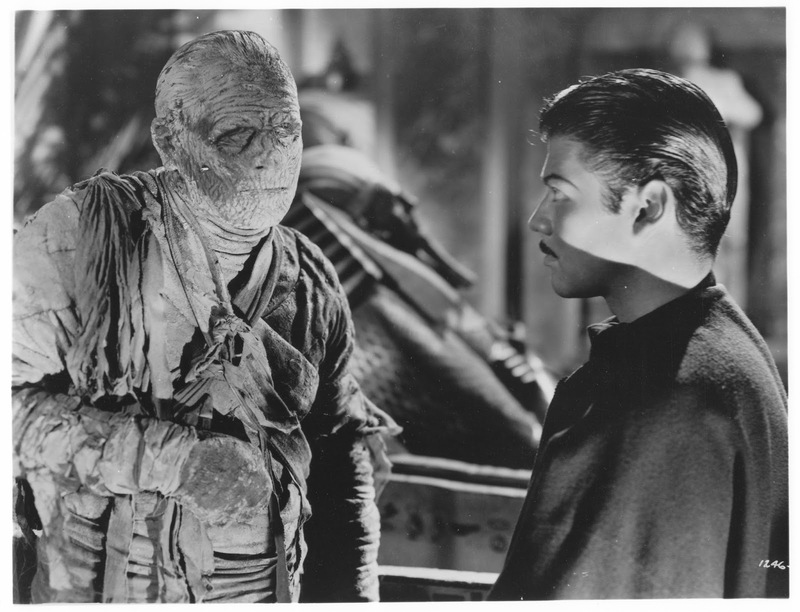 Lon Chaney, Jr. from "The Mummy's Tomb". 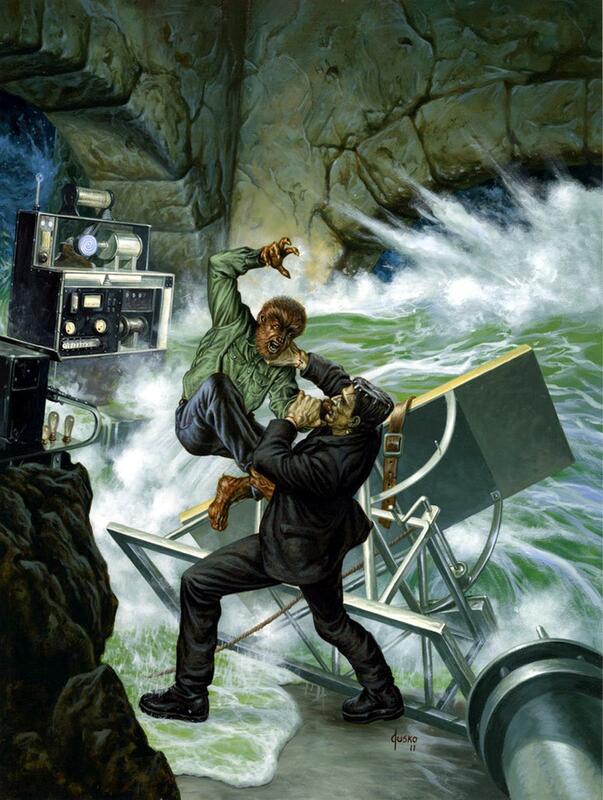 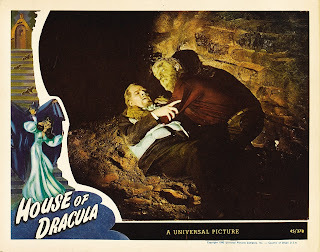 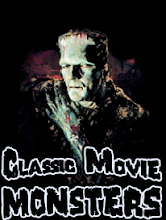 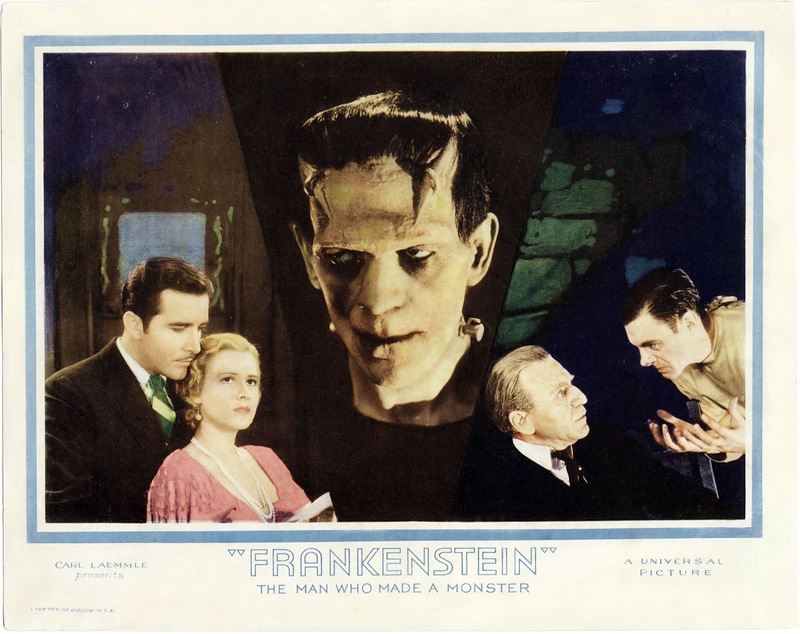 Monster Movie Posters: "House of Dracula"
Monster Art: "Frankenstein Meets the Wolf Man"
This wonderful painting was featured on the cover of a newer "Famous Monsters" made to look like it came out in the 1970s. 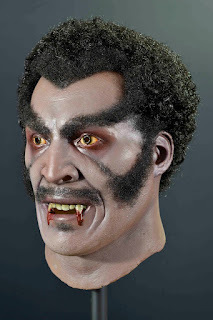 Another one of Trick or Treat Studios' great masks: Blacula! 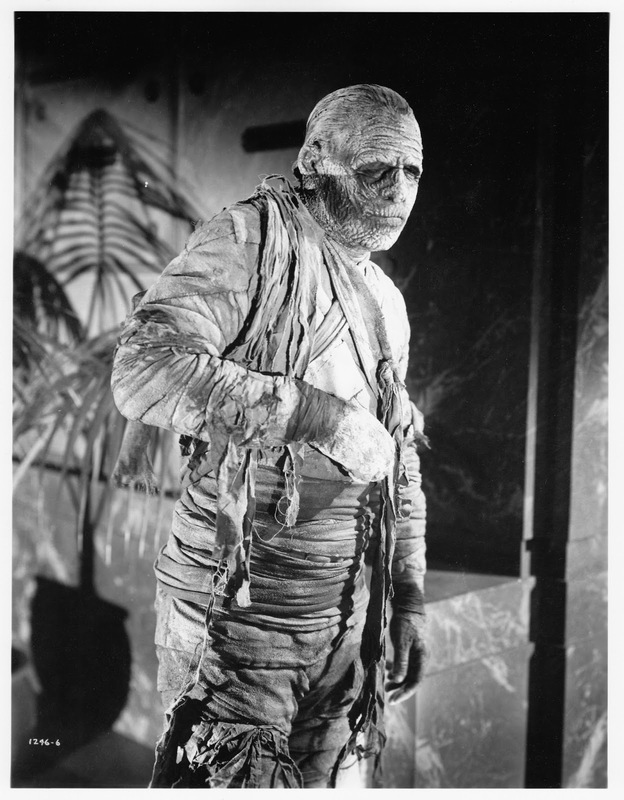 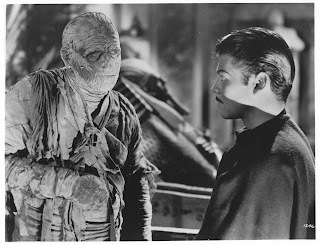 "The Mummy's Tomb" is my favorite of the Universal Mummy movies. 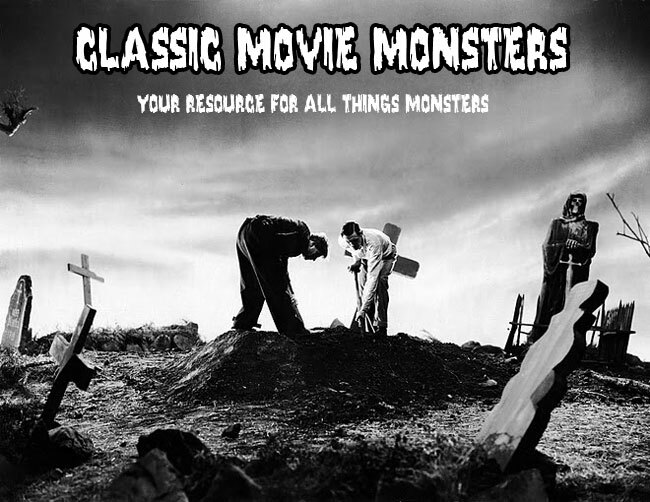 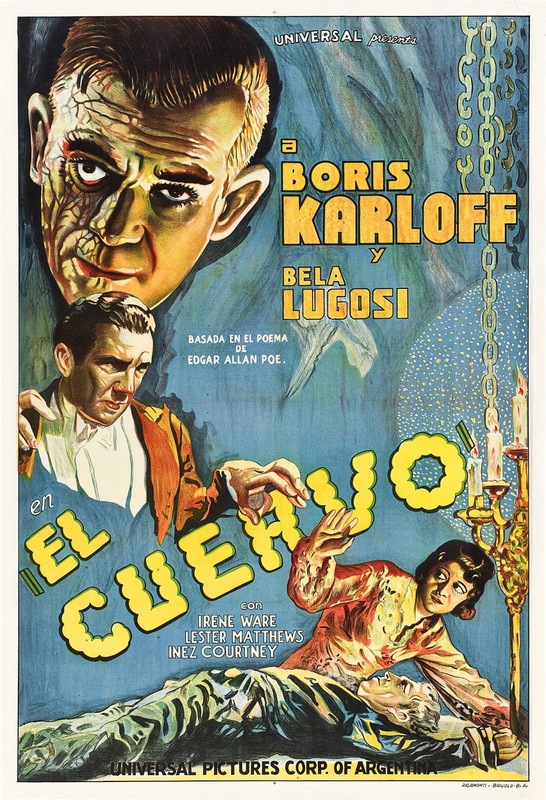 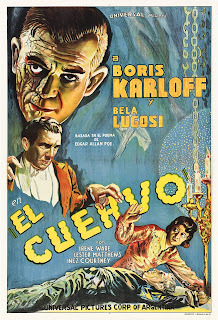 Monster Movie Posters: "The Raven"
This wonderful painting of Bela Lugosi as Dracula was used for puzzles and other merchandise in the 1980s. 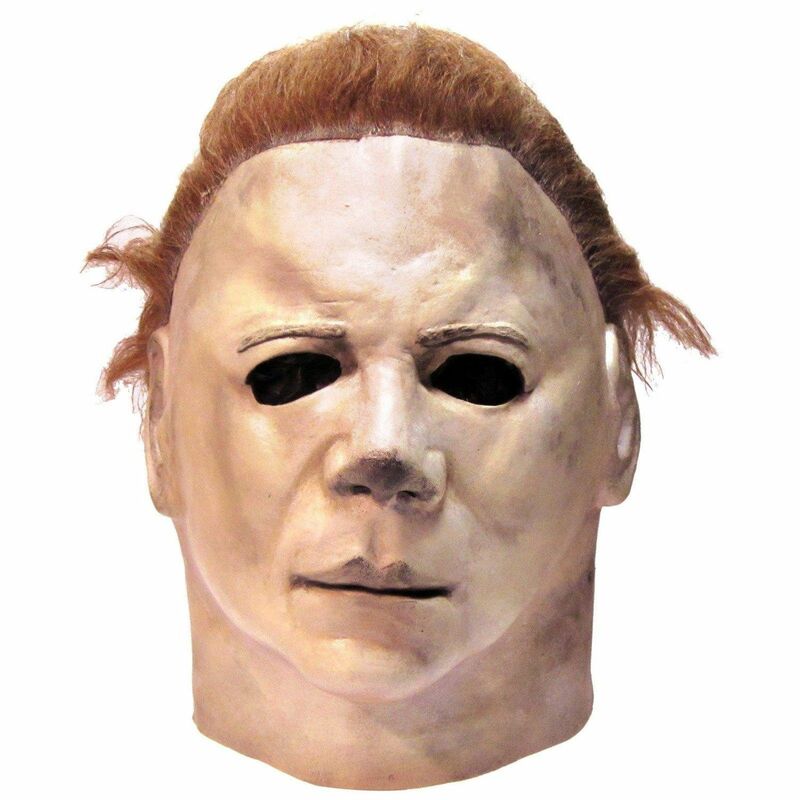 Here is a front view of the Trick or Treat Studios Michael Myers mask. 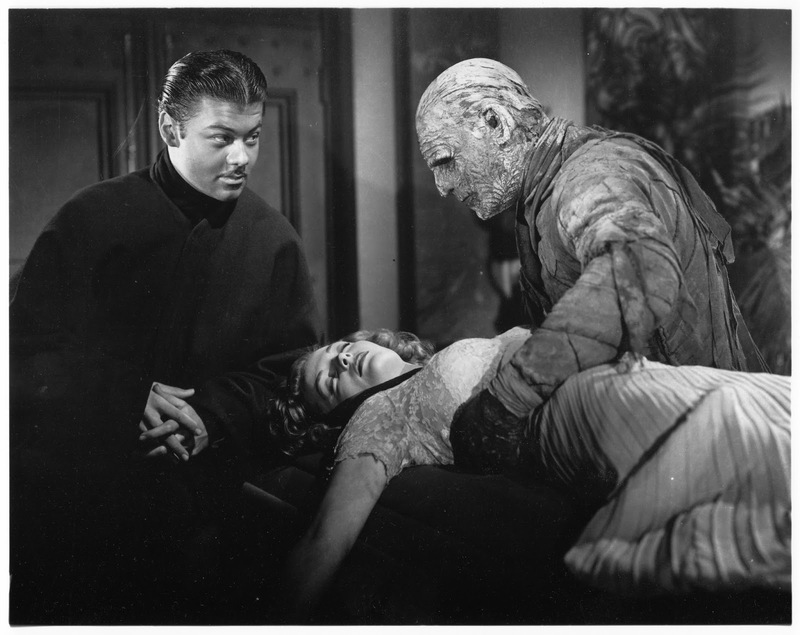 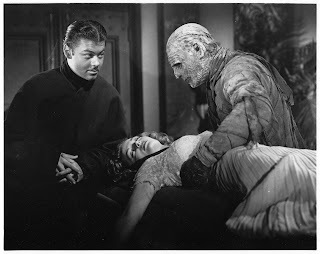 Lon brings the girl to Turhan Bey in "The Mummy's Tomb". 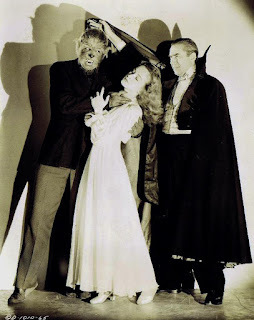 Fighting off a werewolf and a vampire is a tough thing to do! 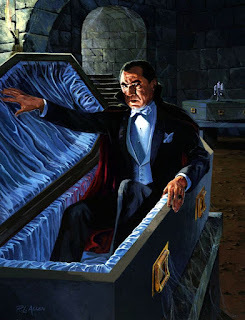 From "Return of the Vampire". 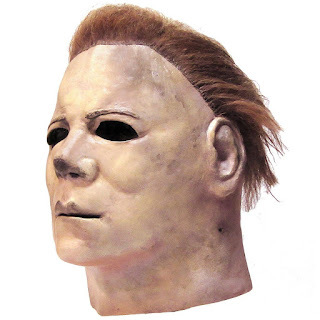 This is the great Halloween II Michael Myers mask that Trick or Treat Studios came out with a few years back. 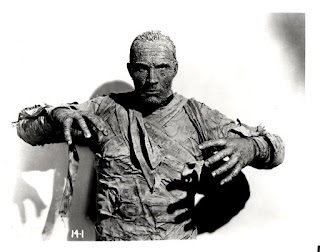 Tom Tyler as the Mummy from "The Mummy's Hand".